Tyler Hill is proud to announce the addition of Peter Adams to our Tyler Hill family this summer as our new Golf Pro! 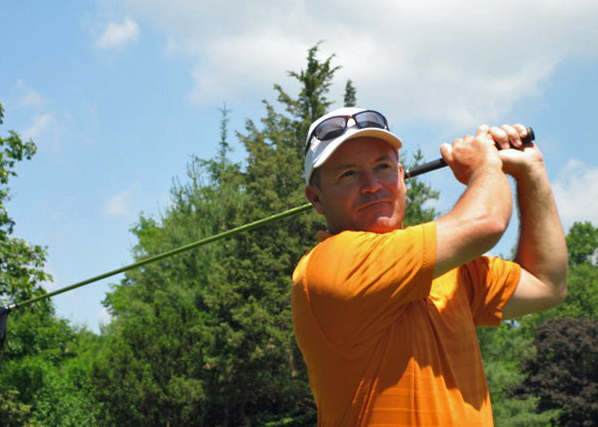 Peter is a “Certified PGA Instructor,” one of only fifteen in his home state of Connecticut. Becoming PGA Certified was no easy task however. Peter’s PGA course work began back in 2008 and was structured much like an MBA program with general business classes in accounting, communications, budgeting, marketing and other core business topics. However, as a teaching professional, his golf instruction classes included: Player Development, Teaching Tools & Technologies, Human Learning and Golf Instruction and Motivating/Feedback Principles. Peter believes that part of being a successful instructor is being able to embrace each student’s individual needs, whether you are a beginner and have never held a golf club before or whether you are an advanced player. Everyone is different in their own unique way. By reading a student’s body language when they hold or swing a club, or even stand in front of a tee, embracing these small yet specific nuances is what gets a student from not playing well to calling themselves a golfer. Peter has 2 adult children and two grandchildren. When Peter is not out on the golf course, he can be found kayaking or deep sea fishing in the inter coastal waterways of Florida where he spends a good portion of the year when not in Connecticut. However this summer, Peter can be found at 1017 Cochecton Turnpike, Tyler Hill, PA 18469! Welcome to the family Peter!